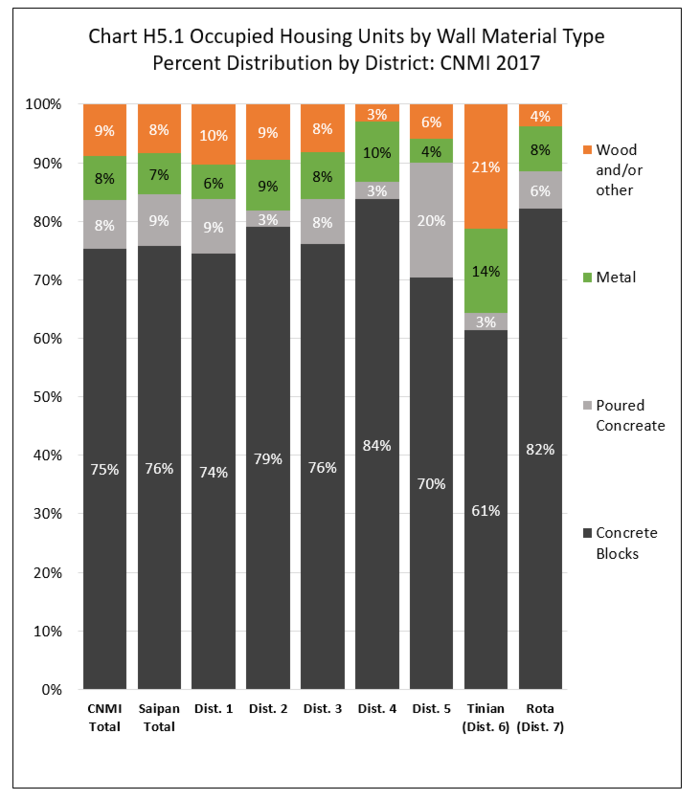 Units with concrete block walls was 75.3% of all occupied housing units in the CNMI in 2017; units with poured concrete was 8.3%; units with metal walls was also 7.5%, and units with wood and/or other materials for walls was 8.8%. Combing concrete blocks and poured concrete, 83.7% of all occupied units in the CNMI had concrete walls. The percentage of occupied units with concrete walls (block and poured concrete combined) was highest in Rota (88.6%), followed by Saipan (84.6%), and lowest in Tinian (64.4%). The percentage with tin Metal walls was highest in Tinian (14.4%), followed by Rota (7.6%) and lowest in Saipan (7.1%). 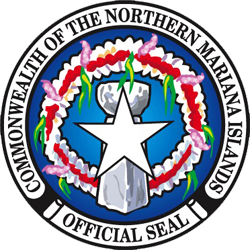 Wood and other materials walls percentage was highest in Tinian (21.2%), followed by Saipan (8.3%) and lowest in Rota (3.8%). Within Saipan, units with concrete (concrete blocks and poured concrete combined) walls percentage was highest in District 5 (90.0%) followed by District 4 (86.8%), District 3 and District 1 (both 83.8%) and then District 2 (81.9%). Please see Chart H5.1 and Table H5.1 for detail. Table H5.1 Occupied Housing Units by Wall Material Type, by Island, and by District: CNMI, 2017 4th Qtr.